People change careers for many different reason, from perhaps moving house and not being able to keep their current job, returning to the workforce after an illness or birth of a child, to immigrating, or just deciding that you’ve *had enough* in your current job. While changing a career path can be exciting fun, and beneficial to your health, it can also be a little daunting. If you are contemplating a career change, start fresh our candidates can have their resume looked over by dozens of businesses looking for new staff, looking for people just like you – and you don’t want to be lost in the shuffle! 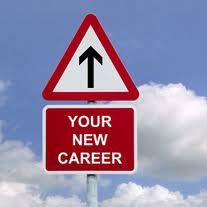 The first step in to consider when you decide to change careers is to think very carefully, what do I want to do? What are my skills? Do your current skills fit in well with your new career path? Will you need any re-training? Think long and hard, what drives you? What do you enjoy doing? Will a career change put you back? Will it move you forward? At the moment with the economy the way it is, it’s hard not to get past 2 important questions – what industry is the most secure??? And what job pays the most???. Taking into consideration, a mortgage, family, debts, entering into a job that pays less than you need won’t work. Look at what your interests, hobbies, passions are – you may be surprised how these can open doors to a whole new industry you’d previously not considered. You can often fit your interests into a new career. How do you explore your new career opportunities? Think about anything and everything you love to do, have you ever dreamt of a career but never followed it through? Write down anything and everything, no matter how small or how silly it seems. Need help then searching for a job can help, with tips on interview skills, your resume, cover letters and so much more. Look around you, keep your eyes open and take note of anything around you that stirs your interest. Maybe there is someone you have admired in the past for their achievements. Take the time to work out why you like some activities and why you hate others. Pay attention to the times you are doing something that makes you happy, why does it? And finally – be patient. Change doesn’t happen overnight, it might take you a while to work out what makes you happy and you may even have to try a few different jobs before you find the one that’s right for you. It takes time and a good deal of reflection to find yourself and what it is you truly want to do. A good suggestion is to work on your resume, go over it, and if it is out of date update it with any achievements, have your interests changed over time? Why not make a start here, right now – we can help polish your resume and bring it all up to date. A professional looking CV gets you noticed. Perhaps you are thinking of a career change? Perhaps you have made that change? Do you have any regrets? Have there been any downsides to a change of career? Do you feel it’s too late, or you’re too old to switch now??? ?